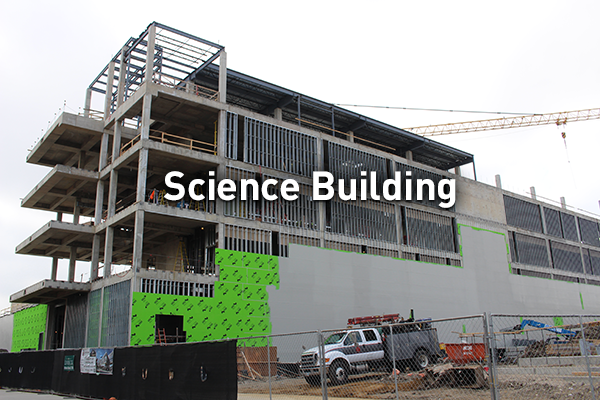 These photos show the construction of the new Science Building. Located in the center of the University, just north of the Science Learning Center (SLC), this facility will house the departments of Physics and Mathematics. The 175,000 square foot building will contain classrooms, laboratories, offices and offer space for mathematics, physics, chemistry and the UTeach program.